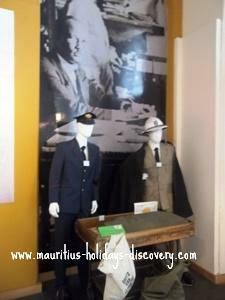 Mauritius Postal Museum. . . . . .
and in the beginning man created bottle mail! The exchange of mails between Mauritius and the outside world dates back as far as 1638 – the year the first people came to settle in the island. Letters were placed inside upturned bottles hanged on trees which were then emptied or filled by sailors. That’s what the Dutch recorded in their journals when they started populating the still uninhabited island of Mauritius. The “postal depot” was located at Tonneliers Island (then called Kuipers Eylandt), near Port Louis harbour. Since then, the history of postal services in Mauritius has been marked by major events. 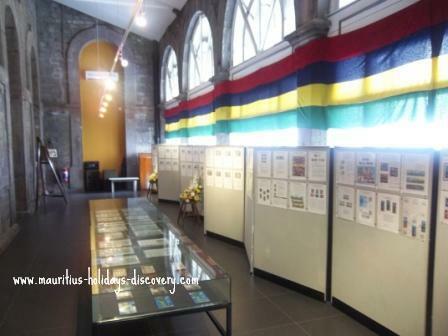 So let’s go for a short trip to the Mauritius Postal Museum and discover these important milestones! Mauritius Postal Museum – A Neo-classical Victorian architecture inaugurated in 1870 and which until recently housed the General Post Office. Nicholas Lambert (1741-1806), director of the Imprimerie Royale (Royal Printing), initiated the creation of an inland postal service and the first post office opened its door on 12 December 1772 when Mauritius was a French colony. The Bureau Général des Postes et Gazettes, a private undertaking, was in charge of delivering locally printed newspapers and letters coming from abroad to the inhabitants. Delivery was performed on foot by “Noirs Facteurs” (slave postmen). Postal activities gradually spread across the various cantons (districts) of Isle de France (the name given to Mauritius by the French). But as from 1795 the services started to dramatically deteriorate when rural post offices were closed down by the local Republican administration following the French Revolution. To worsen the situation overseas communications were disrupted when the British blockaded Mauritius as from 1804 as a strategy to invade the island. In the British Period room of the Mauritius Postal Museum, the development of the postal services under the British rule is resourcefully documented. Shortly after the conquest of Mauritius by the British in 1810, the Poste Général (General Post Office) established by the French became a Civil Department of the colonial administration. The General Post Office was opened in Port Louis in 1870. One major innovation in the postal services was the introduction of a prepaid postage system by the use of stamps. On 20 September 1847 the first adhesive stamps – the Blue and the Red Penny - were conceived and printed for the first time by Joseph Osborn Barnard. 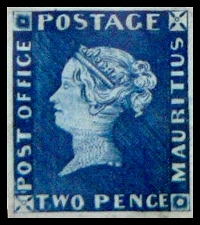 Mauritius became the fifth country in the world, after Great Britain (1840), Brazil and Switzerland (1843) and North America (1847), and the first colony to print stamps. 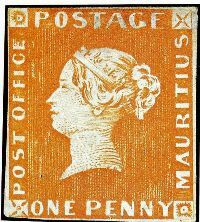 The orange-red one penny and the deep blue two pence bearing the profile head of Queen Victoria are known as the Mauritius “Post Office” stamps and derived their name from the wording reading “Post Office” printed on them instead of “Post Paid”. They are among the rarest postage stamps in the world. Other important landmarks carried out under the British rule were the conveyance of mails by railway in 1867, the introduction of telegraph and telephone. In 1893 the first overseas telegraphic links became possible through telegraphic undersea cable between Mauritius and Seychelles. 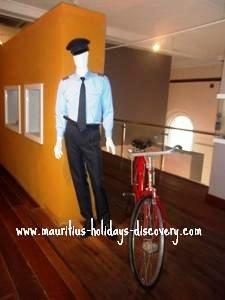 In 1933 the first airmail left Mauritius for Reunion Island. Today The Mauritius Post Limited is a state-owned company offering traditional as well as modern postal services. A Philatelic Bureau is located at the museum where philatelic items are on sales.